All praise belongs to Allah, the Sustainer, the Cherisher of all which made it possible for us to fast during the month of Ramadan. We beseech You o Allah, to accept our fasting and give us power to continue in the spirit and actions of Ramadan. Peace and blessings be upon our beloved Prophet Muhammed, in which he said:“Whoever fasted the month of Ramadan with faith and conviction all his past sins have been erased.” Peace and blessings be upon his family, upon his companions and upon all those who pursue his path until the Day of Judgment. Firstly: Let each of you ask yourself if you have “fasted” during Ramadan, or simply you just have abstained from food and water? The difference between just simply abstain from food and water and fasting it means that we have changed, thus we have improved our morals and behavior, or we have just simply stayed without eating and drinking it means that nothing has changed within us, in our morals and behavior, it simply means that we are in the same manner as we were before Ramadan and now. Obviously there has been no change. Therefore, the purpose of fasting is to make us devoted. This is the example of those Muslims who is devoted for one month, manages to receive and win the goodness and blessings of Ramadan, then to abandon those blessings by burning, destroying and losing them. For this we are our own witness, because until the last night of tarawih the mosque was full with believers, while last night where no tarawih is the mosque is empty, it seems like a house abandoned and barren, and it continues to be abandoned night after night. You should know well that, this type of worship it is not an accepted form of worship, which God requires of us. We fasted the month of Ramadan in order that we may be devoted and to be as a food of energy for the rest of the months. 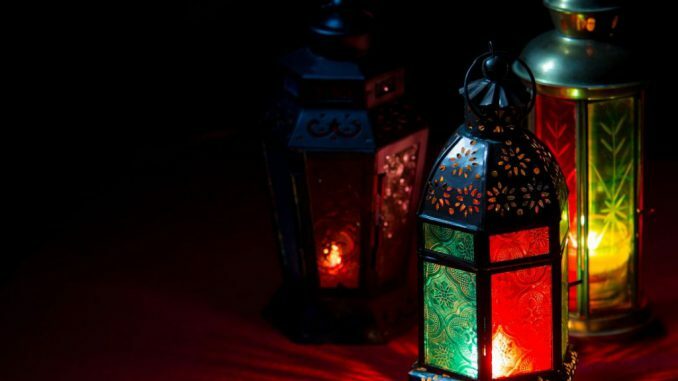 We fasted Ramadan so the light of our supplication and works can lighten the road of our lives for the next 11 months. We fasted the month of Ramadan to give us power to face our challenges and obstacles in our daily lives. Respected brothers and sisters, there are two important things which a Muslim must maintain after the month of Ramadan. These 6 days can be fasted in random days and does not have to be in a row, one or two days a week or you can fast the whole 6 days straight. Important is that a believer fast these days in order to receive a reward of a whole year of fasting, because good deeds are multiplied 1 with 10, therefore, 1 month, 30 days times 10 equals 300 days and 6 days times 10 equals 60 days, completing the year 360 days. May God make it possible and easy to fast these 6 days. Second thing is to restart once more reciting the Quran from the beginning, since we completed it during the month of Ramadan and we should not close the book until the next Ramadan. Transmitted by Tirmidhi from Ibn Abas that a person asked the Prophet: What is the most loved work to Allah? He said: “Al-Hal al-murtahal”. The person said: And what is al-Hal al-murtahal? The Prophet (a.s) said to him: “That person, who reads the Quran from the beginning and after he completes it he starts again”, that is, as soon as he finishes one (hatme) complete reading then he starts again a new one. Lastly, let us not forget that the ending of the month of Ramadan is not the end, but rather a beginning of a new life, refreshed, with more energy, with determination, more active, with more patience, much more meaningful for the true believer. Let us show our Creator, that we fasted the month of Ramadan to empower and to give us more willpower and force in our life and not to cease with its ending. To show to our Creator that we are to Him devoted and we submit to Him the whole year and not only one month, because He feeds us and gives us all bounties during the whole year not only one month. Also we should make Satan understand and disappoint him further that we do not listen nor do we obey him, rather we listen and submit to the Creator of universe, our God.